Social Ministry is a committee designed to create awareness of human needs in the community. It is a ministry of Love, Hope, Caring and reminding us that God cares. Our intentions are to assist families in the community who are experiencing hardships and are in need of food, gas cards, team work, transportation and other services. Our church is set up for disaster relief with wheelchair accessibility and, if needed, has facilities for such disasters. 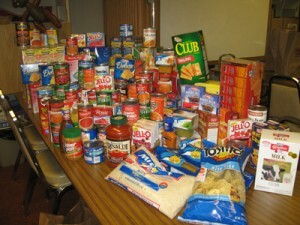 We will be doing a coat drive in October, and have regular food drives, donations for the needy, and help for shut-ins. We have an active prayer chain, a Prayer Shawl ministry and lay visitations. 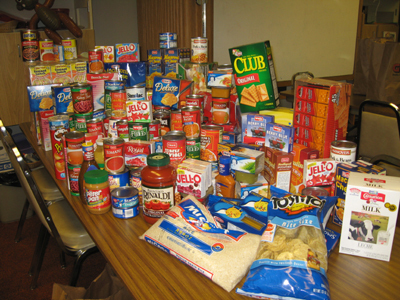 We also participate in World Hunger drives. Social Ministry and other groups in our church such as WELCA reach out into the community to try to help where there is a need. If you are interested in helping in social ministry, please contact the Pastor or Judy Szukics.